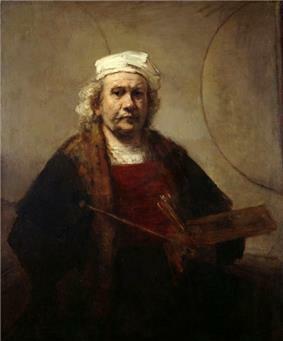 Self-Portrait with Two Circles, oil on canvas, Rembrandt c. 1665–1669. According to some writers the concept of a distinct category of fine art is an invention of the early modern period in the West. Larry Shiner in his The Invention of Art: A Cultural History (2003) locates the invention in the 18th century: "There was a traditional “system of the arts” in the West before the eighteenth century. (Other traditional cultures still have a similar system.) 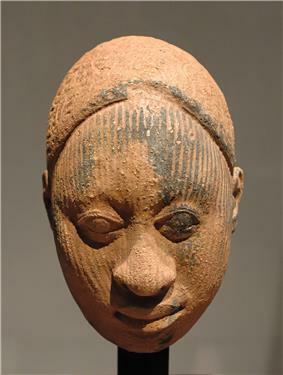 In that system, an artist or artisan was a skilled maker or practitioner, a work of art was the useful product of skilled work, and the appreciation of the arts was integrally connected with their role in the rest of life. “Art,” in other words, meant approximately the same thing as the Greek word techne, or in English “skill”, a sense that has survived in phrases like “the art of war,” “the art of love,” and “the art of medicine.” Similar ideas have been expressed by Paul Oskar Kristeller, Pierre Bourdieu, and Terry Eagleton (e.g. 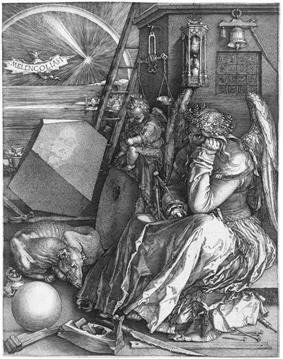 The Ideology of the Aesthetic), though the point of invention is often placed earlier, in the Italian Renaissance. The separation of arts and crafts that often exists in Europe and the US is not shared by all other cultures. In Japanese aesthetics the activities of everyday life are depicted by integrating not only art with craft but man-made with nature. Traditional Chinese art distinguished within Chinese painting between the mostly landscape literati painting of scholar gentlemen and the artisans of the schools of court painting and sculpture. A high status was also given to many things that would be seen as craft objects in the West, in particular ceramics, jade carving, weaving, and embroidery. Latin American art was dominated by European colonialism until the 20th-century, when indigenous art began to reassert itself inspired by the Constructivist Movement, which reunited arts with crafts based upon socialist principles. Drawing is a form of visual expression and is one of the major forms within the visual arts. Common instruments include graphite pencils, pen and ink, inked brushes, wax color pencils, crayons, charcoals, chalk, pastels, markers, stylus, or various metals like silverpoint. There are a number of subcategories of drawing, including cartooning. Certain drawing methods or approaches, such as "doodling" and other informal kinds of drawing such as drawing in the fog a shower leaves on a bathroom mirror, or the surrealist method of "entopic graphomania", in which dots are made at the sites of impurities in a blank sheet of paper, and lines are then made between the dots, may or may not be considered to be part of "drawing" as a "fine art." 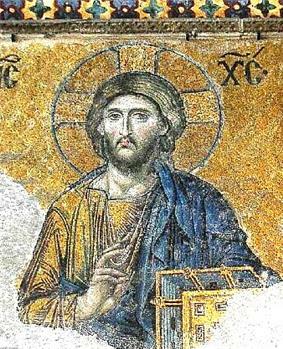 Mosaics are images formed with small pieces of stone or glass, called tesserae. They can be decorative or functional. An artist who designs and makes mosaics is called a mosaic artist or a mosaicist. Printmaking is the process of making artworks by printing, normally on paper. Except in the case of monotyping, the process is capable of producing multiples of the same piece, which is called a print. Each print is considered an original, as opposed to a copy. The reasoning behind this is that the print is not a reproduction of another work of art in a different medium — for instance a painting — but rather an image designed from inception as a print. An individual print is also referred to as an impression. Prints are created from a single original surface, known technically as a matrix. Common types of matrices include: plates of metal, usually copper or zinc for engraving or etching; stone, used for lithography; blocks of wood for woodcuts, linoleum for linocuts and fabric in the case of screen-printing. But there are many other kinds, discussed below. Multiple nearly identical prints can be called an edition. In modern times each print is often signed and numbered forming a "limited edition." Prints may also be published in book form, as artist's books. A single print could be the product of one or multiple techniques. 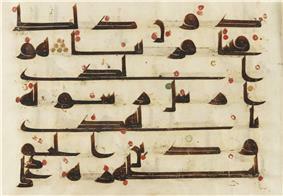 Folio from a Koran (8–9th century), Abbasid Kufic Calligraphy. 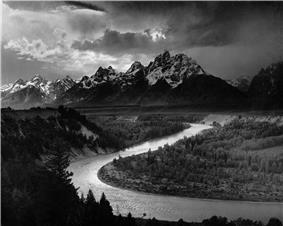 Ansel Adams' The Tetons and the Snake River (1942). Sculpture is three-dimensional artwork created by shaping hard or plastic material, commonly stone (either rock or marble), metal, or wood. Some sculptures are created directly by carving; others are assembled, built up and fired, welded, molded, or cast. Because sculpture involves the use of materials that can be moulded or modulated, it is considered one of the plastic arts. The majority of public art is sculpture. Many sculptures together in a garden setting may be referred to as a sculpture garden. Conceptual art is art in which the concept(s) or idea(s) involved in the work take precedence over traditional aesthetic and material concerns. The inception of the term in the 1960s referred to a strict and focused practice of idea-based art that often defied traditional visual criteria associated with the visual arts in its presentation as text. However, through its association with the Young British Artists and the Turner Prize during the 1990s, its popular usage, particularly in the UK, developed as a synonym for all contemporary art that does not practice the traditional skills of painting and sculpture. Dance is an art form that generally refers to movement of the body, usually rhythmic, and to music, used as a form of expression, social interaction or presented in a spiritual or performance setting. Dance is also used to describe methods of nonverbal communication (see body language) between humans or animals (bee dance, patterns of behaviour such as a mating dance), motion in inanimate objects (the leaves danced in the wind), and certain musical genres. In sports, gymnastics, figure skating and synchronized swimming are dance disciplines while the Katas of the martial arts are often compared to dances. Modern Western theatre is dominated by realism, including drama and comedy. Another popular Western form is musical theatre. Classical forms of theatre, including Greek and Roman drama, classic English drama (Shakespeare and Marlowe comprised), and French theater (Molière included), are still performed today. In addition, performances of classic Eastern forms such as Noh and Kabuki can be found in the West, although with less frequency. Architecture is frequently considered a fine art, especially if its aesthetic components are spotlighted — in contrast to structural-engineering or construction-management components. Architectural works are perceived as cultural and political symbols and works of art. Historical civilizations often are known primarily through their architectural achievements. Such buildings as the pyramids of Egypt and the Roman Colosseum are cultural symbols, and are important links in public consciousness, even when scholars have discovered much about past civilizations through other means. Cities, regions and cultures continue to identify themselves with, and are known by, their architectural monuments. Avant-garde music is frequently considered both a performing art and a fine art. Electronic Media —perhaps the newest medium for fine art, since it utilizes modern technologies such as computers from production to presentation. Includes, amongst others, video, digital photography, digital printmaking and interactive pieces. Textiles, including quilt art and "wearable" or "pre-wearable" creations, frequently reach the category of fine art objects, sometimes like part of an art display. Western art (or Classical) music is a performing art frequently considered to be fine art. Kyoto City University of Arts, Japan Offers graduate degrees in Painting, Printmaking, Concept and Media Planning, Sculpture, and Design (Visual, Environmental, and Product), Crafts (Ceramics, Dying and Weaving, and Urushi Lacquering); also the Science of Art and Conservation. Tokyo University of the Arts The art school offers graduate degrees in Painting (Japanese and Oil), Sculpture, Crafts, Design, Architecture, Intermedia Art, Aesthetics and Art History. The music and film schools are separate. The Ruskin School, University of Oxford The BFA is a three-year, studio-based course in which students work alongside each other in collaboratively organised studios. It allows students to engage with the diversity of disciplines that shape contemporary art, including painting, sculpture, printmaking, photography, installation, video, sound, performance and other experimental forms. University of Kent, UK Fine Art Phd "The programme welcomes students who wish to pursue any form of artistic practice in an interdisciplinary studio-based research environment. Research students are supported through their studies by a supervisory team and regular supervisory meetings." Brazil: The Institute for the Arts in Brazilia has departments for theater, visual arts, industrial design, and music. Yale University, New Haven, CT - MFA in Painting, printmaking, sculpture, photography, and graphic design. An interdisciplinary degree in film is also offered. The BA in art includes the same areas of study, plus drawing. Fordham University, New York, NY - An innovative partnership between Alvin Ailey American Dance Theater and Fordham University, the Ailey/Fordham Bachelor of Fine Arts (B.F.A) degree combines the finest in dance and liberal arts education in a 4-year program. Students complete a diverse curriculum while attending both institutions full-time. Columbia University, New York, NY - The School of the Arts at Columbia University offers MFA degrees in Film, Theatre Arts, Visual Arts and Writing, an MA degree in Film Studies, a joint JD/MFA degree in Theatre Management & Producing, and a PhD degree in Theatre History, Literature and Theory. Juilliard School, New York, NY - is a performing arts conservatory established in 1905 it educates and trains undergraduate and graduate students in dance, drama, and music. 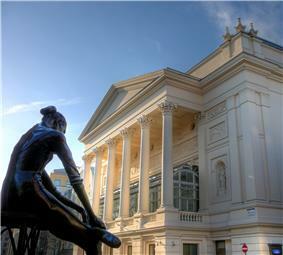 It is widely regarded as one of the world's leading music schools, with some of the most prestigious arts programs. ^ The Project Gutenberg EBook of Encyclopaedia Britannica 10 (11 ed.). 1911. ^ "Fine art | Define Fine art at Dictionary.com". Dictionary.reference.com. Retrieved 2014-03-13. ^ "Aesthetic Judgment". The Stanford Encyclopedia of Philosophy. 22 July 2010. ^ Richard B. Woodward (04/12/12). "When Bad Is Good". ^ David Clowney. 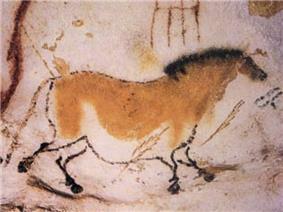 "The Invention of Art: A Cultural History"A Third System of the Arts? An Exploration of Some Ideas from Larry Shiner's . Contemporary Aesthetics. Retrieved 05/07/2013. ^ a b c Mediavilla, C. (1996). Calligraphy. Scirpus Publications. ^ Pott, G. (2006). Kalligrafie: Intensiv Training. Verlag Hermann Schmidt Mainz. ^ Pott, G. (2005). Kalligrafie:Erste Hilfe und Schrift-Training mit Muster-Alphabeten. Verlag Hermann Schmidt Mainz. ^ Tate online glossaryConceptual art tate.org.uk. Retrieved August 7, 2014. ^ Britannica Concise Encyclopedia. "britannica". britannica. Retrieved 2010-05-18. ^ "Institute for the Arts, Brazilia". ^ "Yale University School of Art". Art.yale.edu. Retrieved 2014-03-13. ^ "Division of Fine Arts RISD". Risd.edu. Retrieved 2014-03-13. ^ "School of the Art Institute of Chicago". Saic.edu. Retrieved 2014-03-13. ^ "UCLA Department of Art". Art.ucla.edu. Retrieved 2014-03-13. ^ "California Institute of the Arts Programs". Calarts.edu. 2013-12-20. Retrieved 2014-03-13. ^ "Carnegie Mellon College of Fine Arts". .cfa.cmu.edu. Retrieved 2014-03-13. ^ "Welcome to Cranbrook Academy of Art". Cranbrookart.edu. Retrieved 2014-03-13. ^ "Maryland Institute College of Art". Mica.edu. Retrieved 2014-03-13. ^ "Columbia University School of the Arts". Arts.columbia.edu. Retrieved 2014-03-13. Ballard, A. (1898). Arrows; or, Teaching a fine art. New York: A.S. Barnes & Company. Caffin, Charles Henry. (1901). Photography as a fine art; the achievements and possibilities of photographic art in America. New York: Doubleday, Page & Co.
Hegel, G. W. F., & Bosanquet, B. (1905). 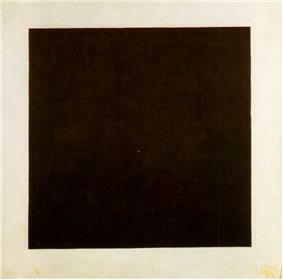 The introduction to Hegel's Philosophy of fine art. London: K. Paul, Trench &. Hegel, G. W. F. (1998). Aesthetics: lectures on fine art. Oxford: Clarendon Press. Neville, H. (1875). The stage: its past and present in relation to fine art. London: R. Bentley and Son. Rossetti, W. M. (1867). 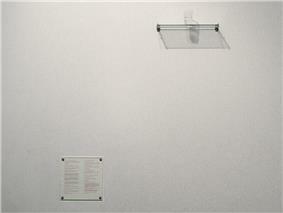 Fine art, chiefly contemporary: notices re-printed, with revisions. London: Macmillan. Torrey, J. (1874). A theory of fine art. New York: Scribner, Armstrong, and Co.